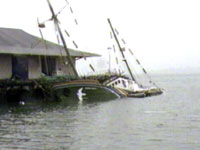 The sinking of the Greenpeace flagship by French Secret agents in 1985 would go down as one of the most shocking acts of state-sponsored terrorism. For the first time, we get to the bottom of the man behind the mission, the agents' repeated blunders, and the nationwide cover-up that followed. "My dad has been murdered. I don't see it as manslaughter". 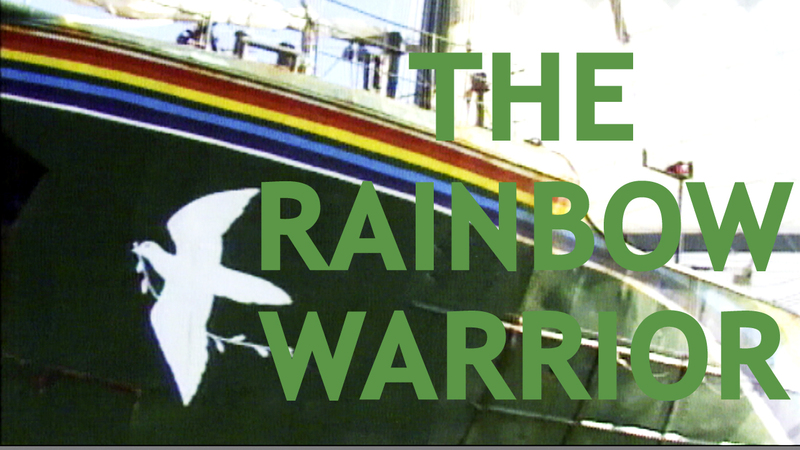 The Rainbow Warrior had set out to protest against French nuclear testing. But in the late hours of July 10th 1985, as the laughter and birthday celebrations of the crew filled the air, two French divers were planting two bombs on the bottom of the Rainbow Warrior - one on the stern, and one near the engine room. When the bombs exploded the ship was sunk, one man was killed, and a ten year battle between New Zealand and France began: "It was of course the stupidest thing that the French government has ever done". "If all they were trying to was to stop us then they could have done it in far less spectacular ways", says head of Greenpeace, Steve Sawyer. In fact, the options of poisoning the diesel or using a single bomb were preferred by all agents involved. But Charles Henu, an alcoholic and a womanizer and also the French Minister of Defence, was determined to strengthen French military independence. He dispatched three action teams for 'Operation Satanic', many of whom speak here for the first time. "Of course I regret that somebody died", says Dr. Xavier Maniquet, who slept with at least three women during the mission, "but we were just following orders". His crew were part of action team 2, and carrying phony Swiss passports, had a near miss with the New Zealand government. Agents Marfur and Prieur from action team one were not so lucky. After making a series of phone calls to a known DGSE number in France, they were intercepted and imprisoned. Yet what about the action team responsible for planting the bomb in the first place? Head of Operation Satanic, Louis Dillais, now sells arms to US Special Forces in the war against Terror. Banned from speaking by the French government, he can only hint: "No one wanted it to go this far". The french government's report on the mission was a whitewash - no second bombs, and some of the men in this documentary- wiped from the pages of history. Yet the evidence of the New Zealand Police made a mockery of the cover-up. Charles Henu and his agents were imprisoned, France had to pay out a hefty compensation to New Zealand, and Prime Minister Fabius was forced to apologise: "It was a mess from start to finish". Speaking about the mission for the first time the former Prime Minister speaks revealingly of how the details of the mission were kept from him: "I was just the Prime Minister". This eye-opening investigation lays the secret workings of a government bare. 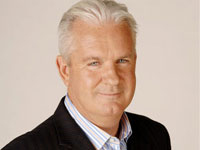 In 2003, John Hudson joined the Sunday team after stints on 60 Minutes and Assignment. He takes pride in being one of the "old-style" journalists; starting as a newspaper cadet on the New Zealand Herald in 1975, and later working in "steam-radio" (Hauraki and 89FM). The Production team were embroiled in a 20 year battle to show the court footage of the agents involved. Bill Ralston, head of news and current affairs for TVNZ, said: "It has been an incredibly long and dogged fight to bring these pictures to the public. This is a significant triumph for media freedom and hopefully demonstrates to the French (and any other Government, corporate or individual) that the New Zealand media will not be intimidated into submission by legal stonewalling. Best of all, a whole new generation of New Zealanders will now get to be eyewitness to a pivotal moment in our country's history."